 Under a traditional legal trust, unlike a statutory pet trust, the other beneficiaries of the trust would presumably have no right to challenge the amount passing to the trust. Because the caretaker is not the trustee and is only a contingent beneficiary of a present interest – i.e., his or her interest during the life of the pet may always be divested. (It is also possible for the caretaker to be the remainder beneficiary without a merger of title, although for practical reasons, this is probably not recommended.) Furthermore, because only humans are beneficiaries, the trust would generally be enforceable in every jurisdiction if accompanied by the appropriate perpetuities savings clause. In general, the receipt of funds and other property (i.e., pet animal) by gift, bequest, devise, or inheritance is not subject to federal income taxation. In other words, there is no income taxable event merely because the pet and/or certain caretaking funds pass to a caretaker or a trust for the care of an animal. A separate question is what happens when the caretaking funds earn interest or dividends within the trust (discussed below). Under current federal uniform transfer tax law, a decedent may, through a combination of taxable gifts made during the decedent’s lifetime or passing at death through the decedent’s “gross estate”, transfer up to $5.49 million to nonspouse/noncharitable beneficiaries without incurred federal estate or gift taxes. Within this general framework, it should be noted that any amount passing to a pet trust by reason of the settlor’s death will generally be included in the gross estate. Under Revenue Ruling 78-105, 1978-1 CB 295, the IRS has ruled that no portion of the amount passing to a valid trust for the lifetime benefit of a pet qualifies for the charitable estate tax deduction, even if the remainder beneficiary is a qualifying charity. That said, the relatively wealthy pet owner should consider how the taxes attributable to such a trust should be paid under the federal and state apportionment rules. Revenue Ruling 76-486, 1976-2 CB 192 provides that if a trust for the benefit of an animal is valid under state law, then the trust itself will be subject to income taxation – not the caretaker-trustee or the pet animal. If the net taxable income from the pet trust exceeds $100, the trustee is generally required to file a fiduciary income tax return (IRS Form 1041) and pay any income taxes. 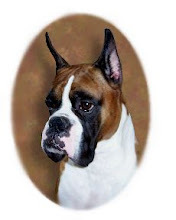 Under the federal income tax law, if the caretaker is considered the beneficiary of the trust (which is the case with a traditional legal trust for pets), then under IRC §661, the trust is entitled to deduct the amount of “distributable net income” paid out to the caretaker, and the caretaker is required to recognize this amount on his or her own income tax return. Effectively, either the trustee or the caretaker pay the income taxes, depending on whether the income is accumulated or distributed each year. As a result, any trust provisions intending to make the caretaker whole should also take into account potential tax consequences. Of course, a pet animal is not required to file or pay income taxes. Thus, Revenue Ruling 76-486 provides that if the pet is considered the beneficiary of the trust (which appears to be an implicit assumption under the pet trust statutes), the trust receives no income distribution deduction for such distributions and would be required to pay income taxes. Nor would the trust qualify as a charitable trust, even if the remainder beneficiary is a qualifying charitable organization. If the pet is considered property of the trust, an argument could be made that any expenditures made for care of a pet represent deductible trust administration expenses – reducing the amount of taxable income to either the trust or the caretaker-beneficiary. IRC §212 allows a deduction for ordinary and necessary expenses incurred: (a) for the production of income; (b) for the management, conservation, or maintenance of property held for the production of income; or (c) in connection with the determination, collection, or refund of any tax. The accompanying regulations also state that a trustee may deduct expenses incurred “in con- June 2004 Page 11 nection with the performance of the duties of administration.” In practice, trustee fees and professional fees (e.g., attorneys, accountants, tax return preparation) are clearly deductible; but expenditures incurred for the care of a pet, which is not an incomeproducing asset and is not inextricably related to the normal business of administering a trust, would not likely be deductible. See IRC §§170, 664, and 7701(a)(1); Reg. §§1.664-2(a)(3), 1.664-3(a)(3). The trust provided for an annual payment for the benefit of the pet during its lifetime with the remainder passing to the charity. The IRS concluded that the trust would have been classified as a statutory charitable remainder trust, qualifying for a partial estate tax deduction under IRC §2055(a), if the annuity had been payable to a “person” and not a pet. See IRC §7701(a)(1) (definition of “person”) and Regs. §§1.664-2(a)(3) and 1.664.3(a)(3) (requiring that term payments be made to a designated person or persons to qualify as a statutory charitable remainder trust).